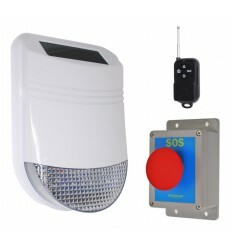 Wireless SOS Alarm designed for use in Shops & small Business premises, in the event of the Wireless Panic Button being press the Flashing LED & Buzzer will Latch On (until reset using the button located at the bottom of the control box). 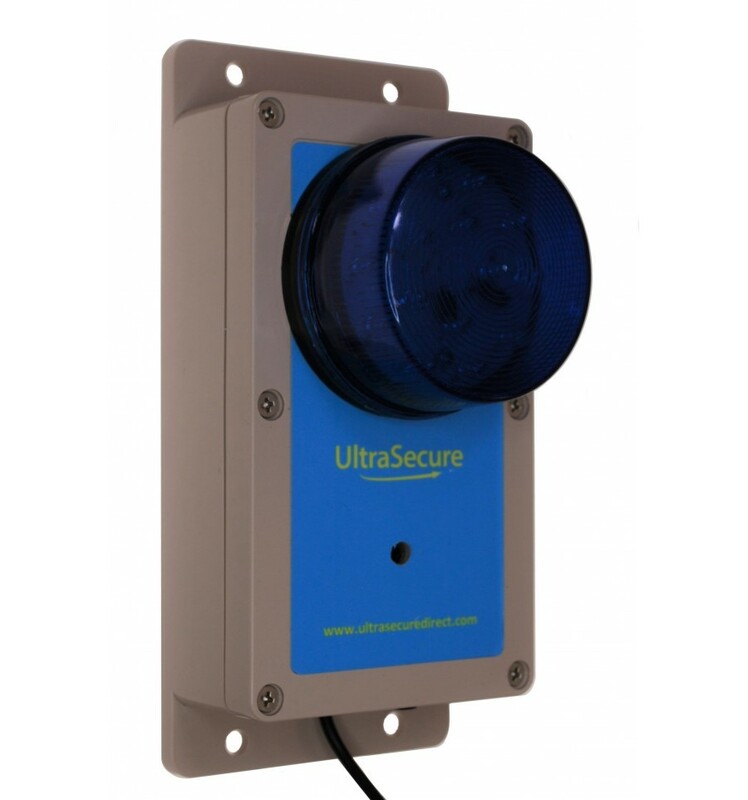 A simple to Fit Buzzer & Flashing Strobe Assembly & 3-pin Plug in Transformer. 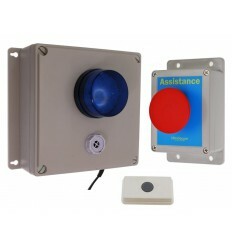 A Wireless Panic Button (more can be added). 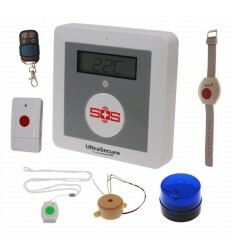 When the Wireless Panic (SOS) Button is pressed, the 40 Decibel Buzzer & Flashing Strobe LED will activate and remain ON until such time that the system is reset using the Reset Button (located at the bottom of the control box). 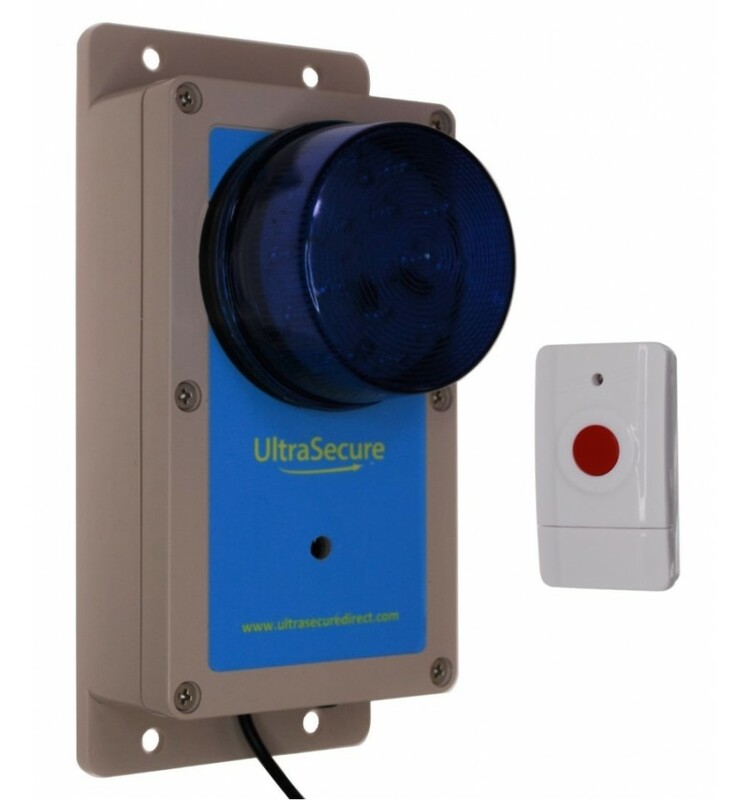 Addition Buzzer & Flashing Strobe Assemblies can be added (no limit) and additional Panic Buttons & Reset Buttons can also be added. 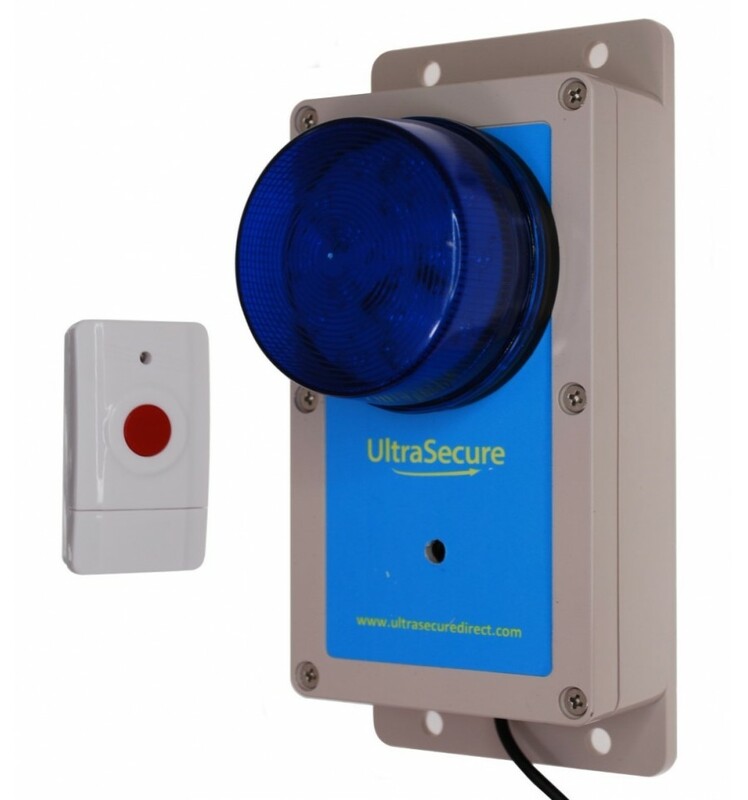 The small Wireless Panic Buttons are powered by a small battery and have a Wireless operational range of 100 metres (line of sight) which equates to around 40 - 50 metres in most buildings. 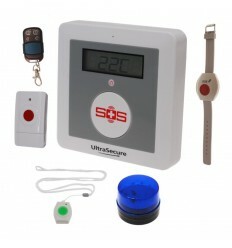 It can be mounted under (or on top) of a counter or desk or wall mounted, it has a clear simple to press Red Button, additional units can be purchased. 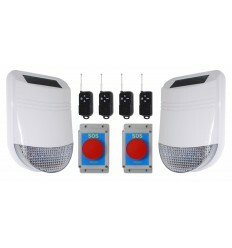 You can use up to 20 Wireless Panic Buttons with each system. This model has the Reset Button located on the bottom of the Control Box, which is fine for applications where the Control Box is mounted in a safe location such as a general office or shop space. 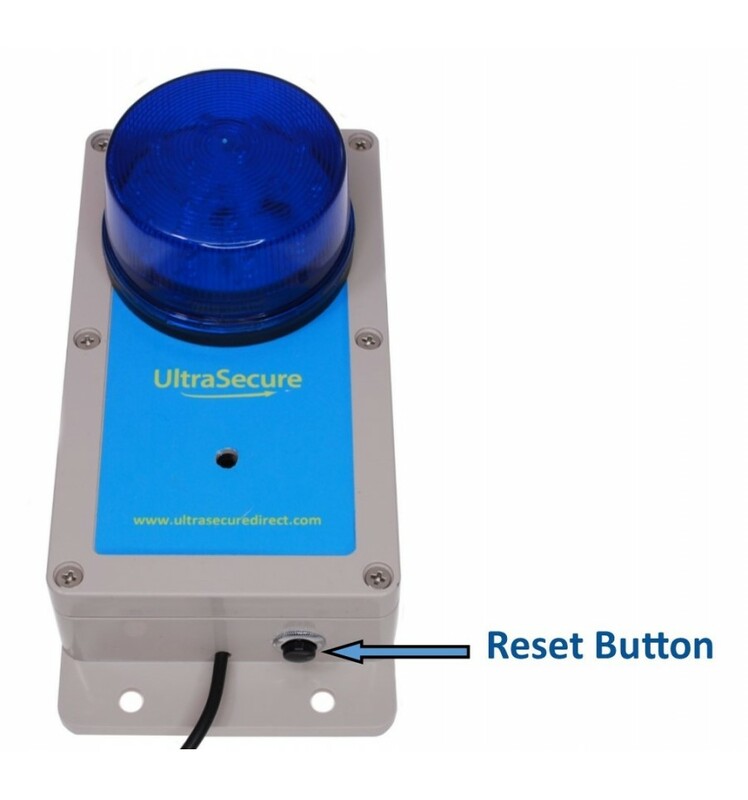 If your application requires the control box to be located in a position which could be close to any potential problem, you may want to select the model which has a Wireless Reset Button (009-2800). 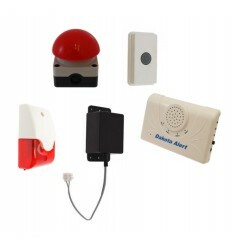 This model is supplied with a 40 Decibel Buzzer, which is fine in many Shop or Office applications, we can however fit Louder or adjustable Sirens upon request. Fit the Siren assembly to the wall using 4 side mounted screw holes (it is weatherproof should you want to mount it outside). Power the Siren assembly up by plugging in a standard 3-pin Transformer (we recommend the socket is placed out of reach or sight). Fit the Panic Button to the desired location (double sided tape). Test by pressing the Panic Button. Reset by using the Reset Button. Standard Remote Control, reference 005-0630 (from up to 60 metres away). Panic Button, reference 005-0700 (from up to 100 metres away). Long Range, reference 005-1460 (from up to 1000 metres away). Wristwatch, reference 005-1480 (from up to 50 metres away). Necklace, reference 005-0680 (from up to 50 metres away). 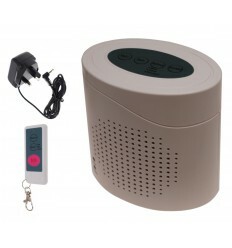 You can add a battery backup Plug in UPS, our reference 010-0660 should you want to cover the possibility of a Power cut. 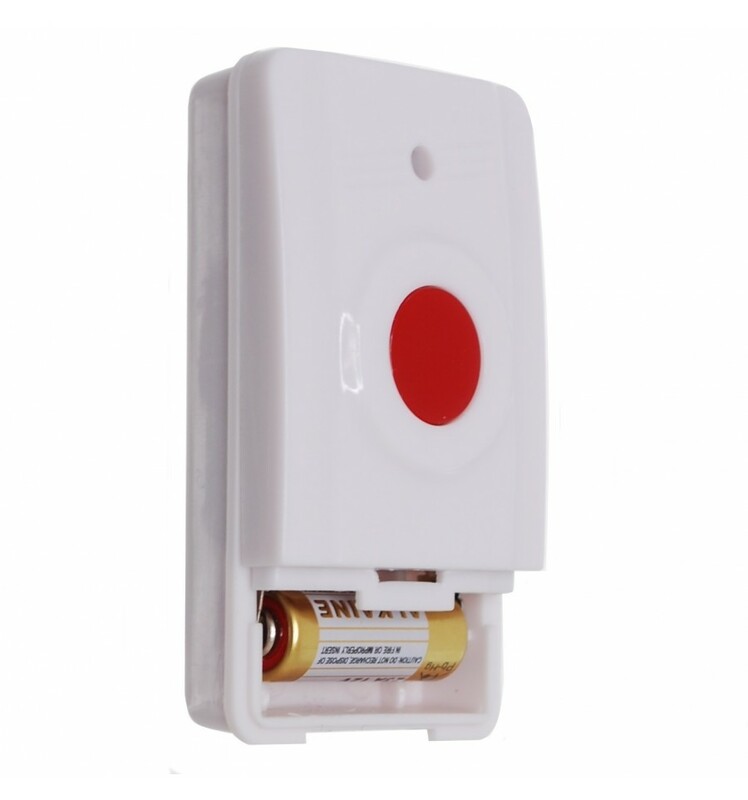 This is a very Easy to Use & Fit Wireless Panic Alarm to help protect your Staff in the event of Security or Medical emergencies. 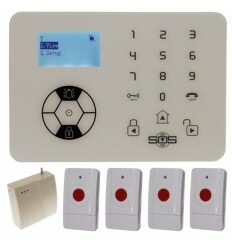 Remote Control for the KP Wireless GSM Alarms. 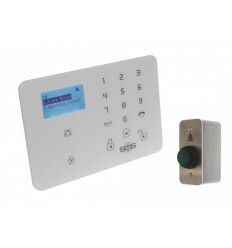 Remote Control, used to Arm & Disarm the KP Wireless GSM Alarm Systems. 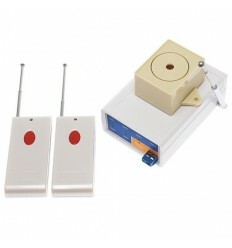 Necklace Panic Button for the KP Wireless GSM Alarms. 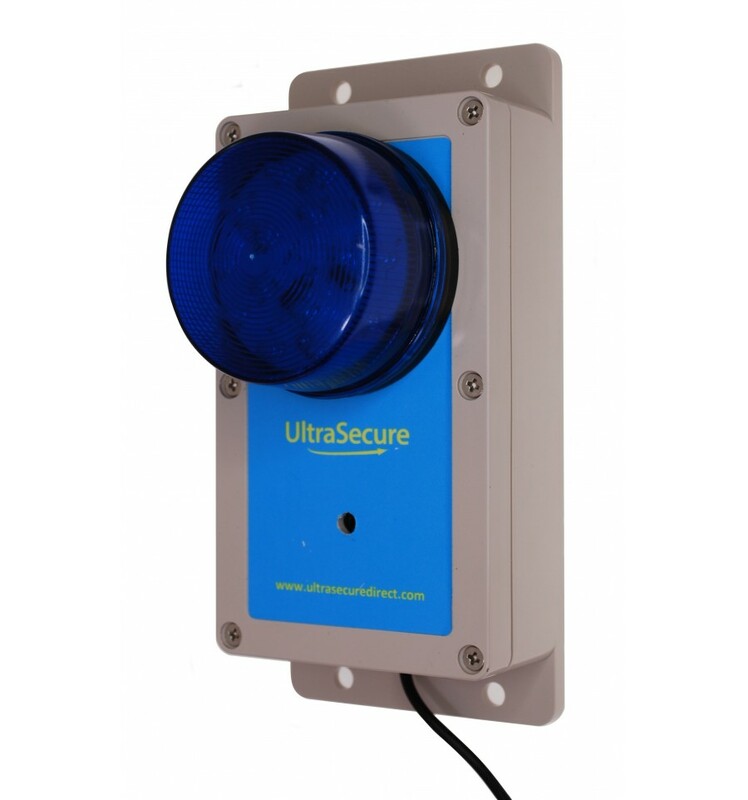 Wireless Necklace Styled Panic Button, for use in Security & Medical Emergencies, working in conjunction with the KP Wireless GSM Alarm Systems. A UPS designed to give Security Systems a lengthy battery back up during times of a power failure, simply plugs in-between the plug in mains supply & security item. 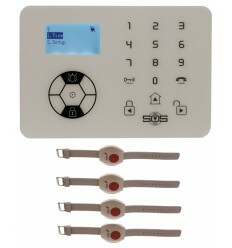 Wristband Panic Button for the KP Wireless GSM Alarms. 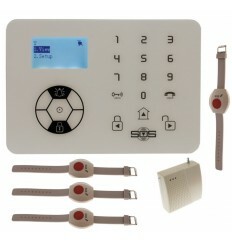 Wristband Wireless Panic Button, for use in Security & Medical Emergencies with any of the KP GSM Wireless Alarms. 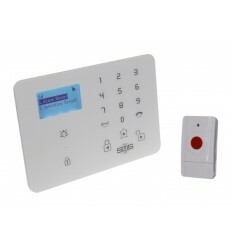 Long Range (1250 metre) KP Wireless Panic Button, for use with any KP Alarm Systems. 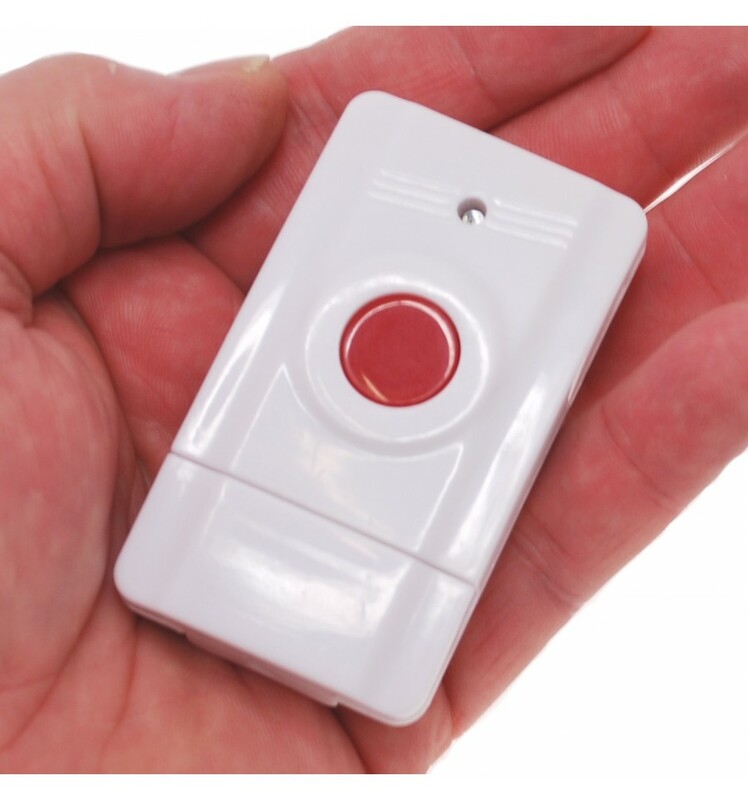 Large Wireless Fully Wheatherproof Panic Button for use with all of our KP Wireless Alarms in the event of a Security & Medical Emergency. 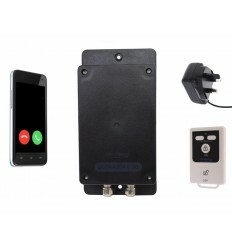 1 x Wireless Receiver with 40 Decibel Buzzer. 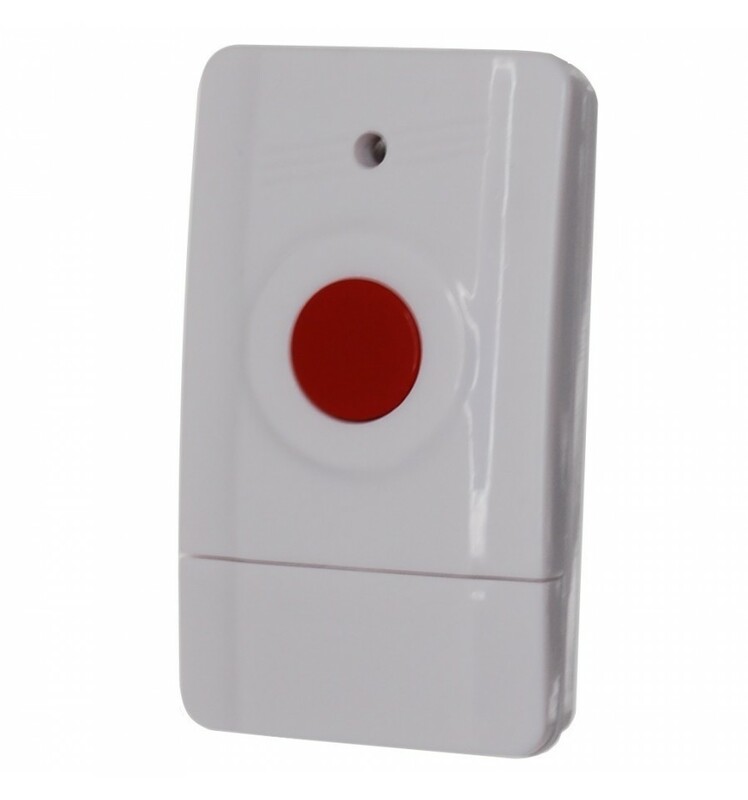 1 x Wireless Panic Button. 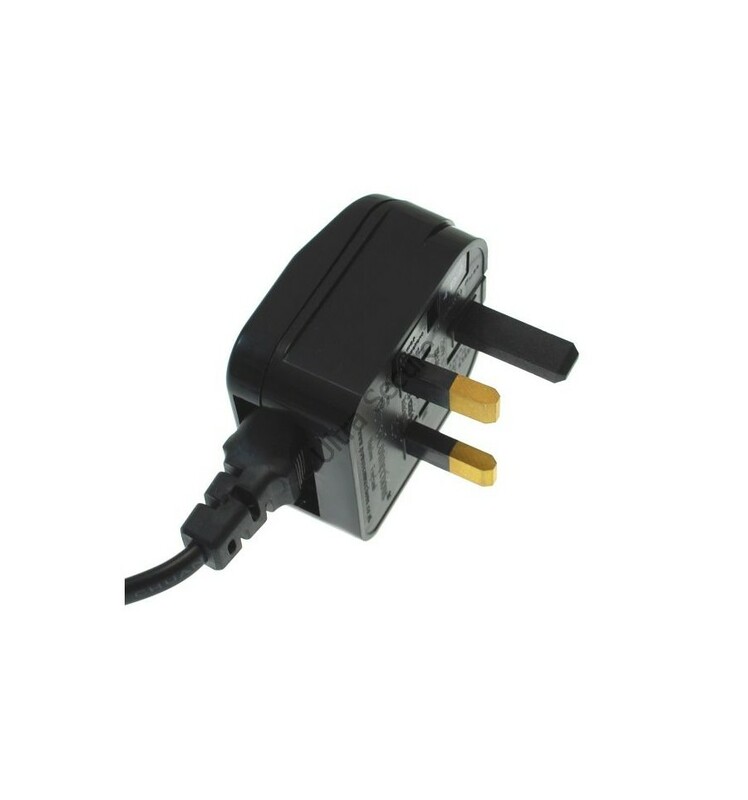 1 x 3-pin Plug in Transformer (2-pin available upon request). 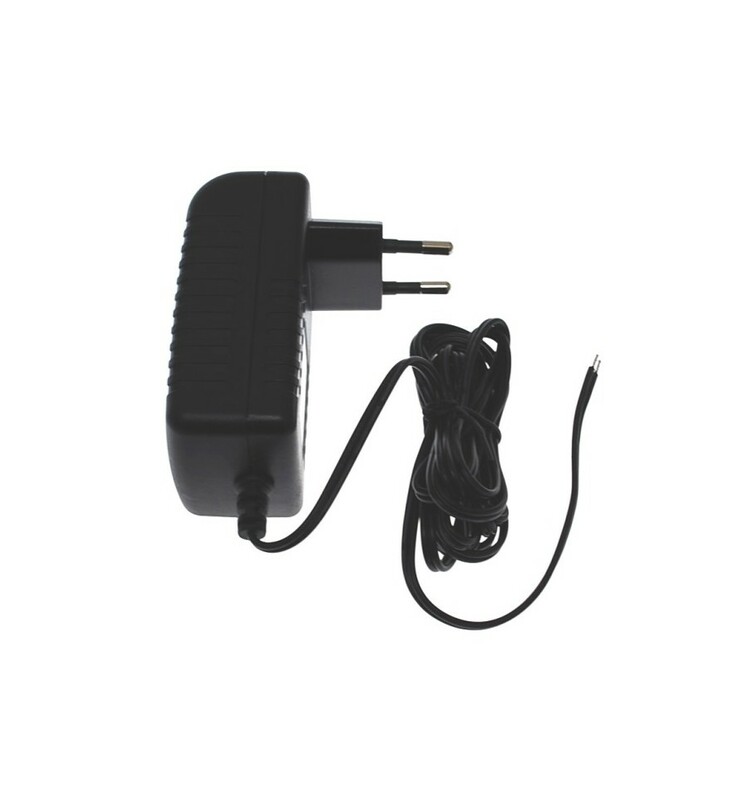 Power Supply: Plug in 3-pin Transformer (2-pin available upon request). 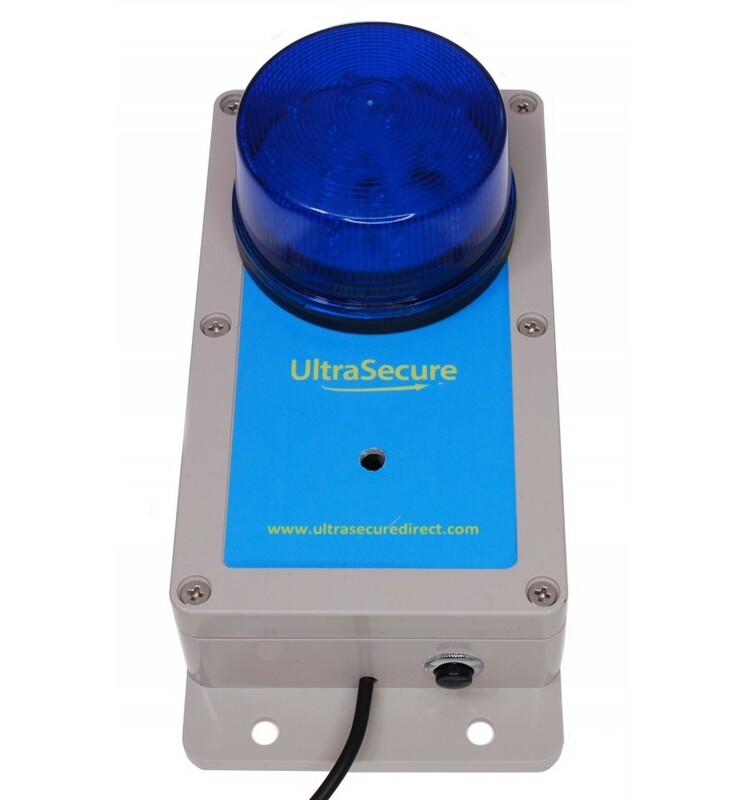 Blue Flashing LED: Yes (when activated by either Panic Button). Duration of LED & Buzzer when Activated: Constant (Latched ON). Size: 200 (H) x 92 (W) x 95 (D) mm. Wireless Range: 60 - 100 metres (line of sight). 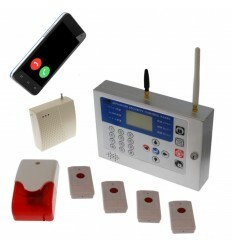 Number of Wireless Transmitters can be used: Maximum 20. Size: 40 (w) x 70 (w) x 17 (d) mm. Wireless Transmission Range: 100 metres (line of sight). 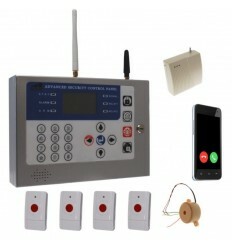 KP GSM Compact Panic Alarm, Flashing Strobe & Buzzer.